There are some ways to ease the burden on your wallets when you're getting your kiddos ready for the new school year. TYLER — Every year parents are hit with sticker shock while shopping for school supplies. The Huntington Backpack Index has tracked classroom supply and school fee costs passed on to parents since 2007. The Index is limited to required supplies and common fees to bring attention to an often overlooked major annual expense. In addition to what’s coming out of the parents’ pockets, TIME reports most teachers spend $500 of their own money on classroom supplies each year. Some even spend more than $1,000. However, there are some ways to ease the burden on your wallets when you’re getting your children prepared for the new school year. Money Crashers suggests doing a “supply sweep” around your house. You may already have a lot of supplies on your child’s list. Money Crashers says to put the items you find around the house in a central location, such as a plastic bin or in your dining room. You should also make a list or take photos of what you already have. You may have supplies another child needs that your child does not. According to Money Crashers, another way to find cheaper supplies is to check out garage sales. The economic website also suggests parents follow local retail stores on social media or sign up for e-mails. A lot of stores will send out information on sales pertaining to certain items you may need to purchase for your child. 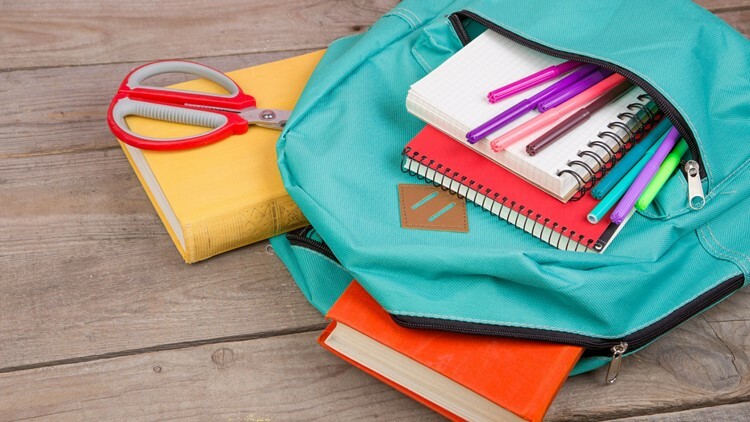 For more ways to save money on school supplies, click here.